Sally de la Bedoyere is on record as saying she thrives on a challenge – which is fortunate, because there will be challenges aplenty when she takes up the role of chief executive of Blue Cross in November. The previous incumbent, Kim Hamilton, resigned in January amid scandal in the national press about her personal life and unrest among the animal charity's employees. 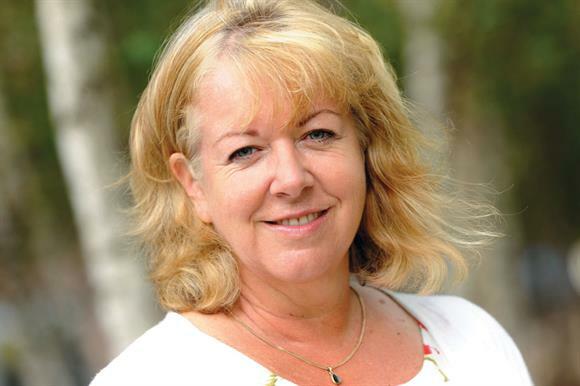 When she took the job of chief executive at the Public Fundraising Regulatory Association two years ago, de la Bedoyere told Third Sector: "It's not easy, but I've never taken jobs that are easy." Face-to-face fundraising was under fire and she was under pressure to drive up standards and improve regulation. At Blue Cross she'll have to work on repairing staff morale and public opinion. Hamilton allegedly forced out the fundraising director, Mike Crossley, after discovering he was in a relationship with another employee, Melanie Brown, with whom she had also allegedly been in a relationship. Eight months later Brown committed suicide after a "long-standing history of depression", according to the inquest. After Hamilton left it was reported that six senior staff had signed confidentiality agreements and received pay-offs totalling £180,000, prompting staff and volunteers to write to the board at the start of the year to warn that it had "lost its way". Steve Swift, interim chief executive at Blue Cross, says "the start of the year was turbulent and all of us were upset and deeply disappointed by the allegations in the media. But it did give us an opportunity to pause and open up some very frank conversations within teams about our processes and how we communicate decisions. I believe we're better for it." Swift has reviewed the charity's controversial settlement agreement procedures to ensure they are used only in "exceptional circumstances" and started to "break down any perceived barriers between our senior team and teams on the ground". Blue Cross received more than 300 enquiries and 94 applications for the chief executive post. De la Bedoyere was selected for her experience in different industries, including animal welfare at the RSPCA, the media, marketing and fundraising. According to Paul Stallard, chair of the PFRA, de la Bedoyere transformed the body, but there is still work to be done in building close alliances with the Institute of Fundraising and the Fundraising Standards Board. It remains to be seen whether de la Bedoyere – who will earn between £110,001 and £130,000 a year, in line with previous chief executives – can successfully build trust in her new post.